The Blackblood Marauders are a group of bandits living in Broken Oar Grotto who also appear at the Wreck of the Icerunner during Lights Out!. They are led by Jaree-Ra, his sister Deeja, and Captain Hargar. During the related quest, their leader, Jaree-Ra, arranged for the light in the Solitude Lighthouse to be extinguished by the player, causing The Icerunner to run aground near the west shore. They then boarded the ship under command by Deeja, massacred the crew, and stole all the cargo, which they shipped to their base of operations at Broken Oar Grotto to keep the loot safe. These two Marauders are both Nord bandit wizards, differing only in their appearance. They wear a leveled set of black mage robes, which will be enchanted to either fortify Alteration, Destruction, or Restoration or to regenerate magicka. They are armed with an iron dagger and may also carry a small amount of gold. Each can cast a leveled set of spells from the Alteration, Destruction, and Restoration schools, including one armor spell, one ward spell, one healing spell and one elemental damage spell. 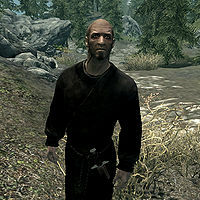 This Marauder is a Nord bandit. He wears leather armor with matching boots and defends himself with a random leveled two-handed weapon, up to elven in quality. He also may carry a small amount of gold. 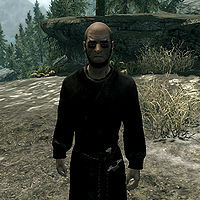 This Marauder is a Nord bandit. 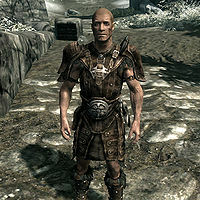 He wears leather armor with matching boots and bracers. He defends himself with a leveled one-handed weapon, which can be up to elven in quality; and a leveled shield, which can be up to steel in quality. He also may carry a few lockpicks or a small amount of gold. 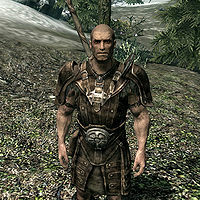 This Marauder is a Nord bandit archer. 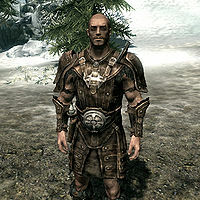 He wears leather armor with matching boots and defends himself with a leveled bow with twenty leveled arrows, both of which may be up to elven in quality. The bow is also supplemented by a leveled one-handed weapon, which also may be up to elven in quality. Additionally, he may carry a few lockpicks or a small amount of gold. This page was last modified on 12 November 2018, at 13:01.